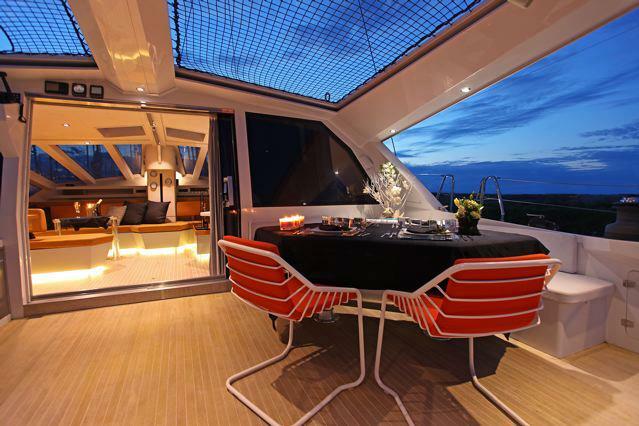 Diamante 555 is a 55-foot catamaran built entirely of aluminium. 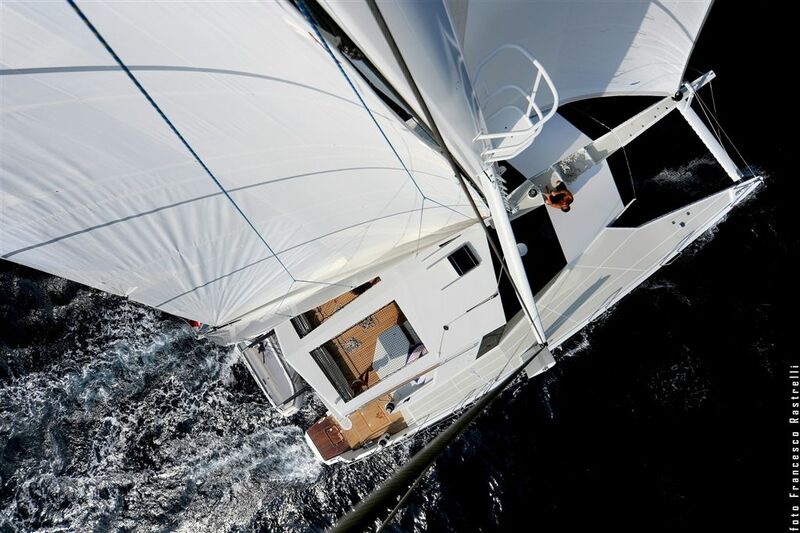 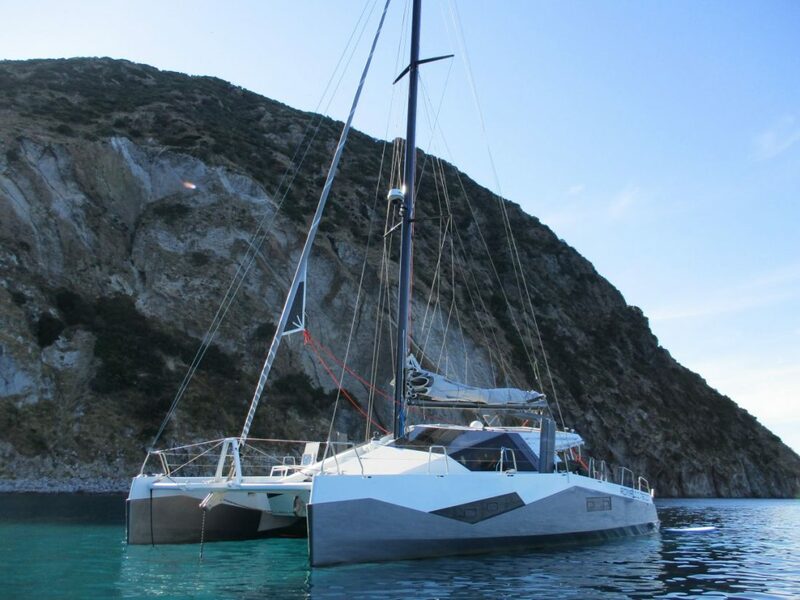 It is a new-concept sailing catamaran with innovative features in a truly modern italian design. 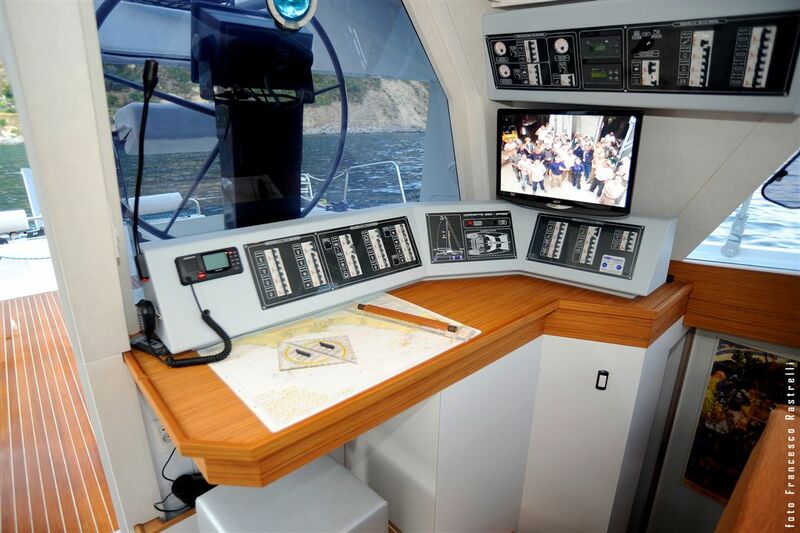 The technical and functional qualities of the materials used ensure maximum manoeuvrability and sea worthiness, with a high speed capability. 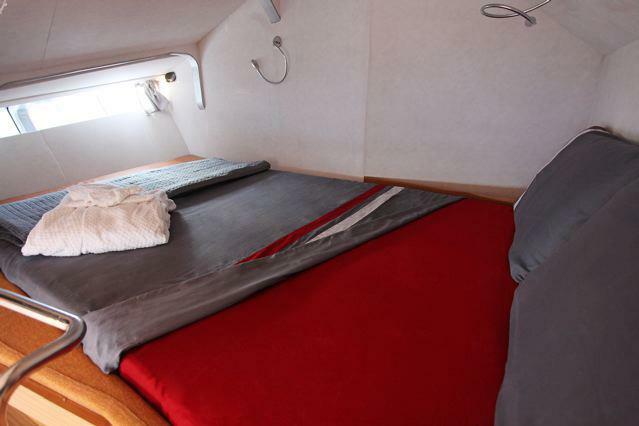 In addition the boat performs extremely well due to the two retractable keels and the long waterlines. 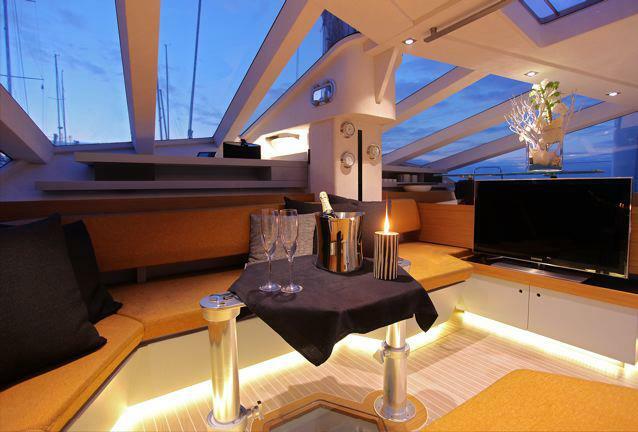 Diamante was designed to be as functional as possible. 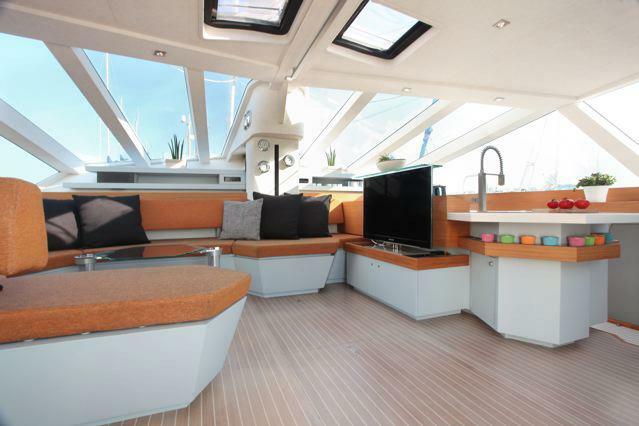 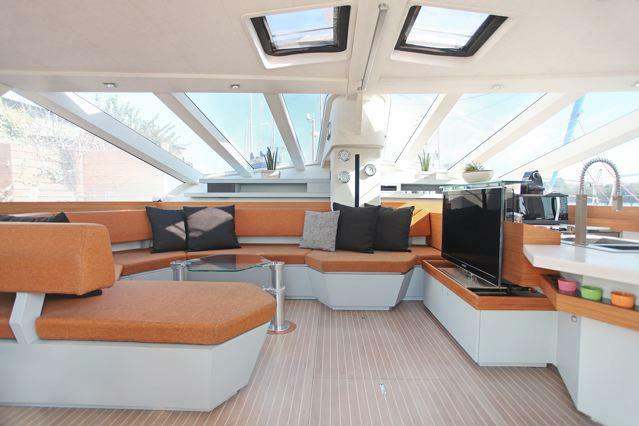 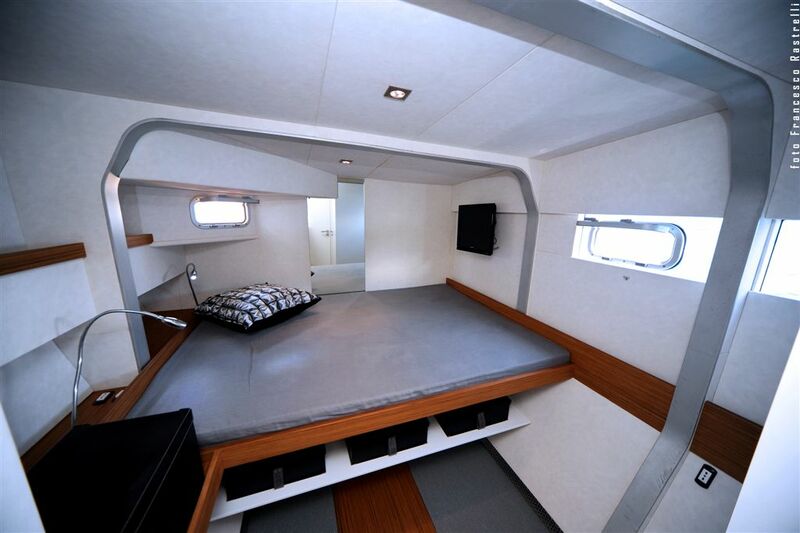 Particular attention was given to the safety (it is practically unsinkable) and ease of maneuvering of the boat, which along with its generous living space and intrinsic elegance, make it unique. 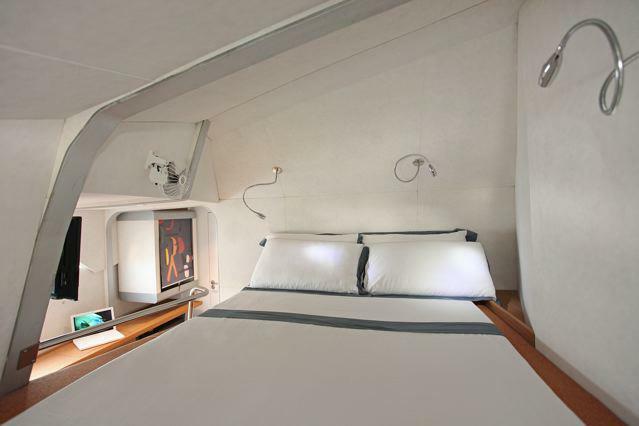 Every detail of the design has a specific significance. 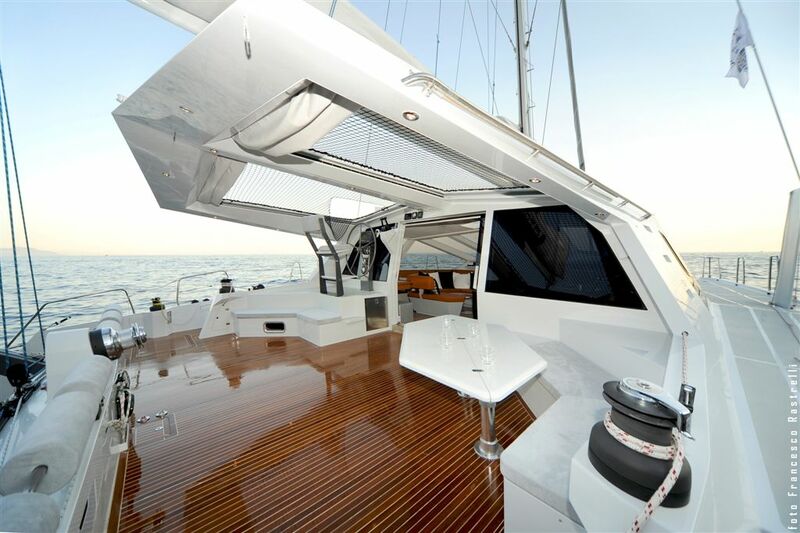 Its flush deck, where all the running rigging is perfectly stored ensure functionality and elegance. 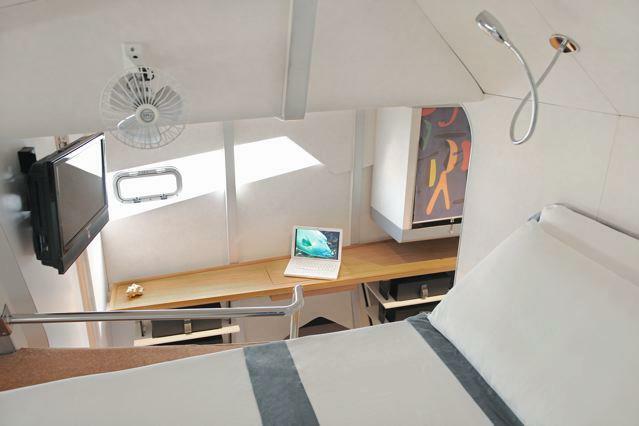 The 35 sq. 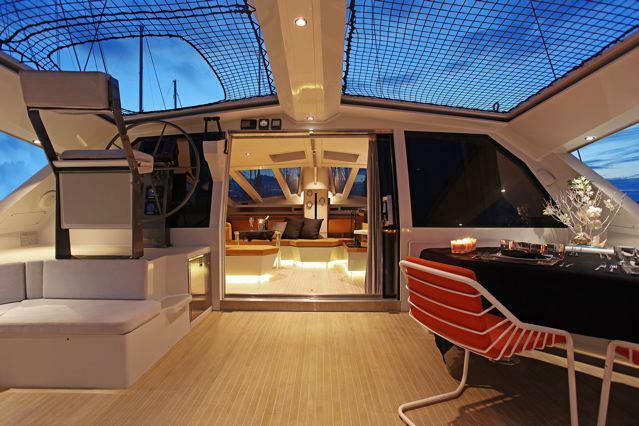 meters of uninterrupted space between the cockpit and the saloon means the guests have a huge amount of space on the boat. 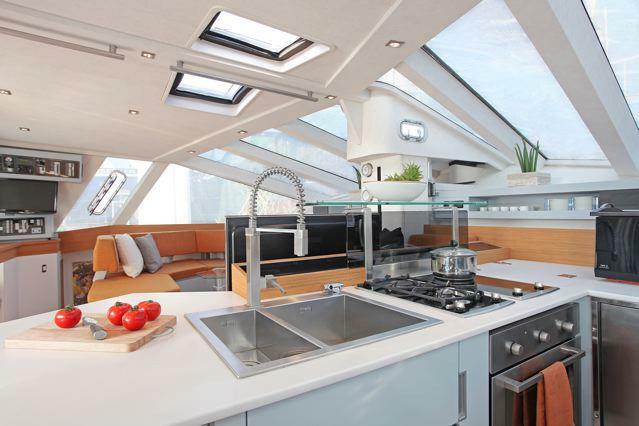 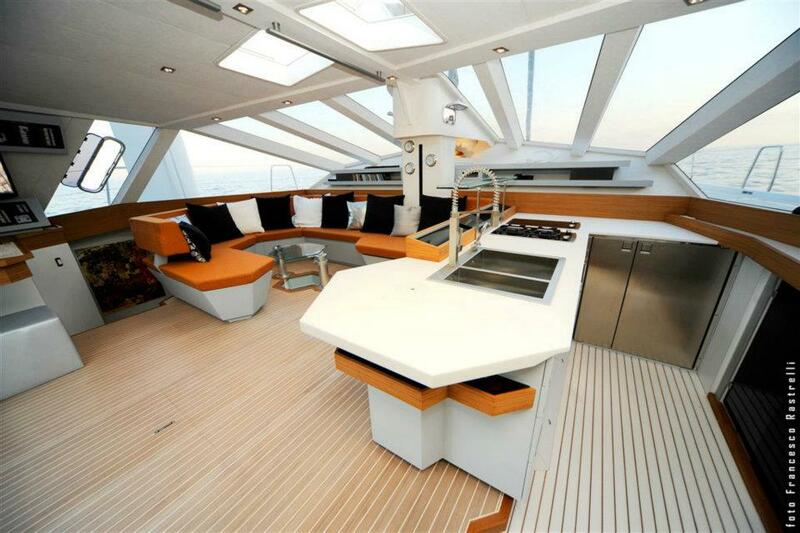 On board, the ventilation and natural light are particularly impressive. 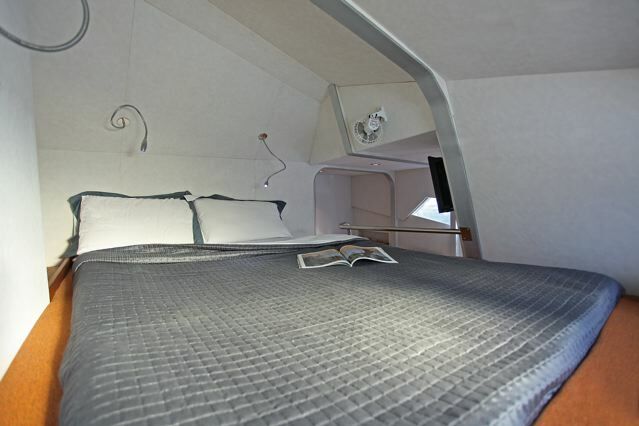 The cabin space is cleverly laid out and the luxurious forward cabins have stunning panoramic views. 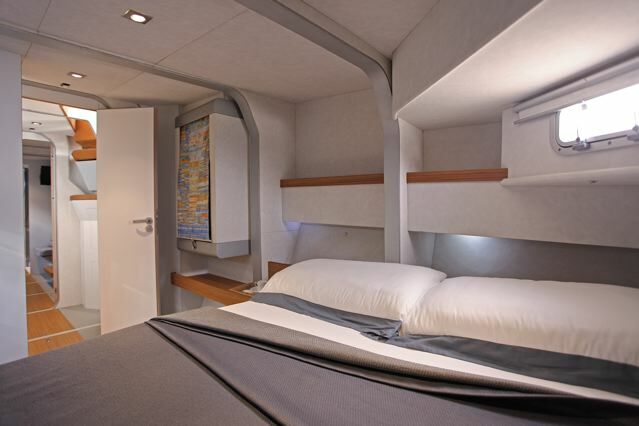 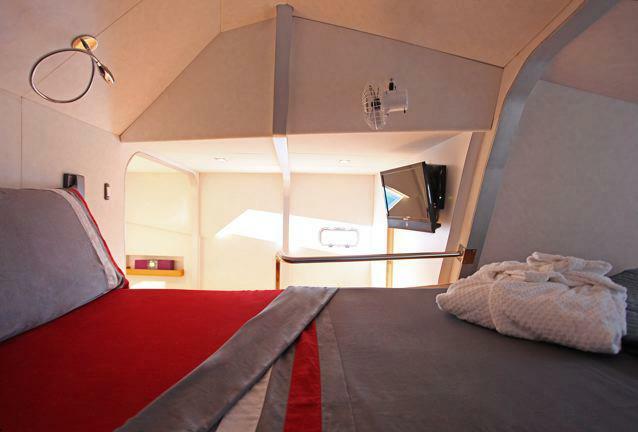 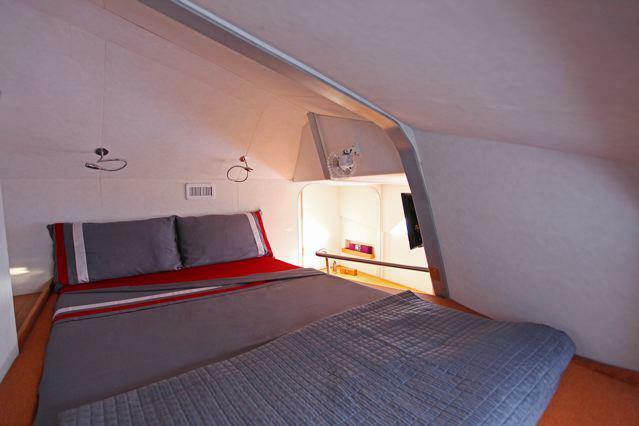 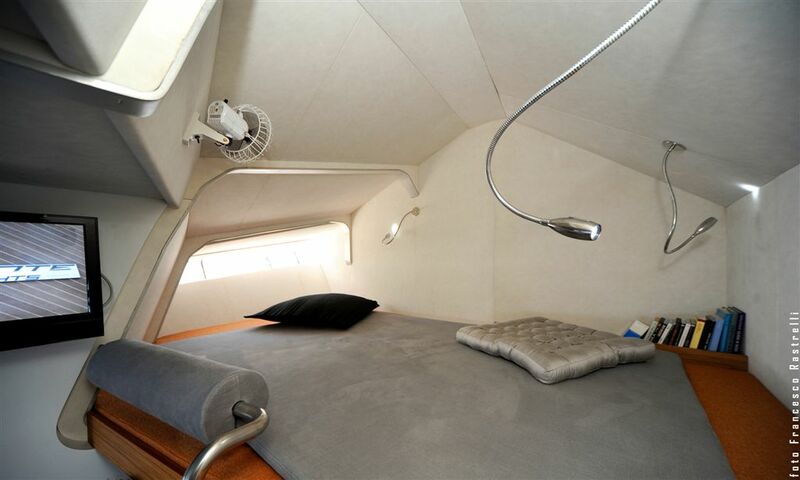 A third guest suite and a fourth double cabin with bunk beds are located at the stern. 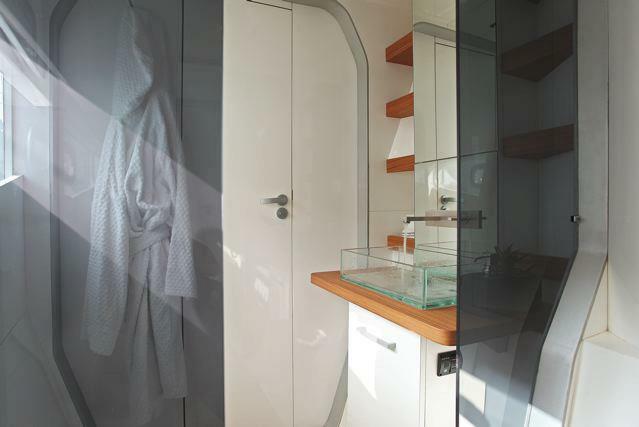 All the cabins have en-suite bathrooms. 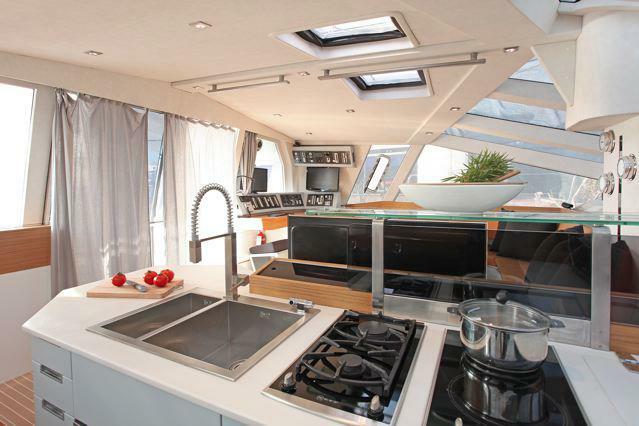 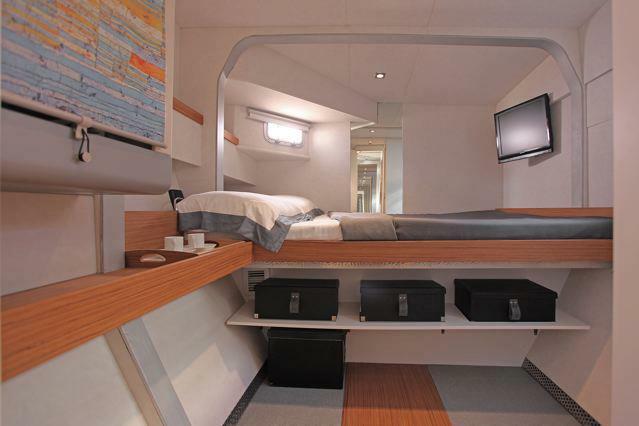 Murphy & Nie carbon fiber sails (2014), Electronic B&G, Air Conditioning in all cabins, Generator 9 KW, Water maker, 37” LED Screen with satellite decoder in dinette, LCD TV with DVD player in every cabin, Bose Dolby Hi-Fi system.